Here are a few tips to cutting the fat on those bulky responsive websites when using frameworks, and making it a faster, leaner experience for all. We’ve all heard about responsive design, and if you’re a designer or developer you would have had this faithful companion in your tool belt for many years now. For those not familiar, however, responsive design means using fluid grids, fluid layouts and media queries to adapt your website to an ever-changing landscape of device screen sizes. These days it’s not hard to get a simple responsive site up and running, with the help of such front end frameworks as Zurb Foundation and Bootstrap. Don’t get me wrong, these are world-class tools that can really make life easier, however with so many components at your fingertips, you may find it a challenge to avoid the inevitable slow, clunky website experience. So, here are a few tips to cutting the fat on those bulky responsive websites when using frameworks, and making it a faster, leaner experience for all. As a designer, responsive frameworks have served as a quick and easy way of getting templates ready for development. The teams behind these frameworks are always researching and enhancing their products, so the out-of-the-box solution is hard to ignore. So why re-invent the wheel, and do it from scratch? Most popular frameworks will provide package options at the point of download that only include the essential elements required to construct basic responsive templates. 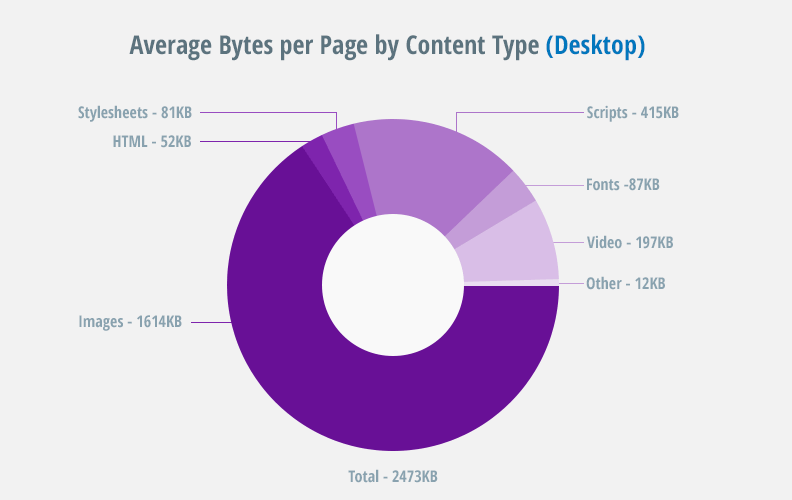 The end result is a whopping reduction in file size across your entire file structure, meaning faster page loads and happier end users. Manually customizing your downloadable package is also an option for creating a fast responsive website, but only recommended if you have a clear understanding of the file dependencies. Choose to only include the general base CSS rather than the full sheet. This may include common styles for typography, buttons, and forms. You can always add styles from the framework later if needed. Whilst many frameworks and responsive systems will mesmerize you with their plethora of componentry, navigational systems and robust CSS, there is always the less known, lightweight options that may prove to be a better solution in the long run. Frameworks such as Skeleton and Pure boast of super tiny lightweight file sizes. Pure’s entire set of modules clock in at 4.0kb minified. Super-fast for page loads! If you are not interested in a framework, but you still don’t wish to write your website from scratch, generating a ready-to-go grid system online may be a good resource to quickly get you started. Free online generators such as Gridpak prove to be very useful. Gridpak will not only provide you with custom CSS and media queries, they will also include associated LESS, SASS and design files to download as a package. All of this can be done in the time a developer makes a coffee! No one wants to see a blurry, pixelated image on a large display, or even worse a huge image on their mobile phone that takes forever to load. As designers and developers we can maximize the performance and overall user experience by serving images of different quality depending on the end user’s viewport, without using complicated server-side setup. As you can see in the graphs above, it’s becoming more important to design a fast responsive website. Although these approaches have been around for a while, and still suffer in the eye’s of compatibility, the HTML picture element and the srcset and sizes attributes have finally been drafted into the HTML 5.1 specification. Because we cannot predict where and how users are going to view our websites, we need the browsers themselves to pick the best image for the situation. The picture element is a container used to specify multiple source elements for a specific image contained in it. The browser will choose the most suitable source according to the current layout of the page, and the device it will be displayed on, whether it’s a normal or hiDPI device. If you’re implementing responsive images (different images in HTML for different situations) and all you are doing is switching between different versions of the same image, all you need is the srcset attribute on the img. The sizes attribute allows us to explicitly define the size the image should be according to a set of media conditions. So there you have it, a few tips that will help you create a lean, clean and fast responsive website. We’ve obviously only skimmed the surface when it comes to increasing the overall performance of your website, however, these simple approaches ensure that you have an optimal user experience in mind. Trimming the redundant code from a framework will not only make your pages load faster, but it will also make it easier for you to build upon and alter the existing code base without conflict. Trimmer frameworks and grid systems tend to also be more flexible when it comes to front-end design, and the more modular approach allows you to remove components when the design changes. Published at DZone with permission of Wayne Bowman , DZone MVB. See the original article here.